Is Russian cuisine the next gastronomical hit? IKRA, the international gastronomic festival, just closed in Sochi. From March 1-5, the best international and Russian chefs de cuisine worked together, held culinary classes and hosted exclusive dinners. The fact that this prestigious event was held in Russia for the first time demonstrates that Russian cuisine is coming of age. Culinary experts from around the world were impressed by their Russian colleagues, especially delighted by their culinary experiments. 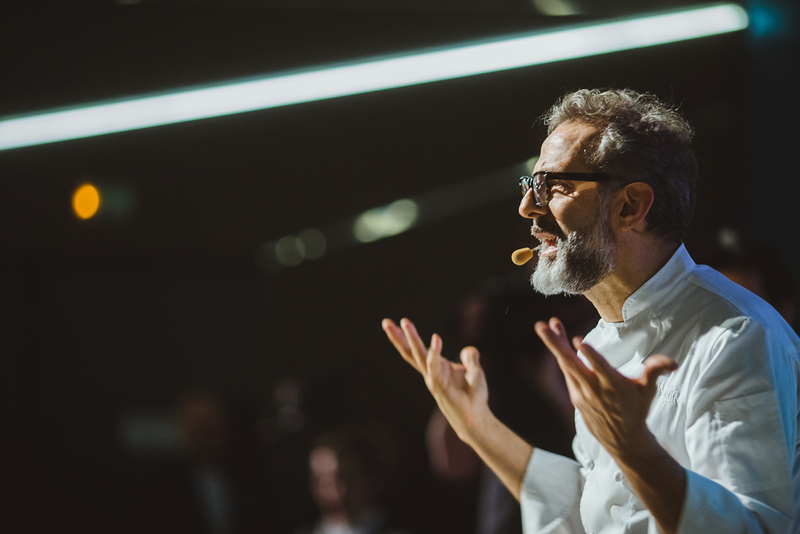 Massimo Bottura, the festival's guest star, is the world's top chef de cuisine. His restaurant, Osteria Francescana, in Modena, Italy, ranks No. 1 in The World's 50 Best Restaurants and holds three Michelin stars. Lately, I experienced very interesting flavors for the first time - the flavors of the Caucasus region. I was very impressed. These big dumplings and smoked eggplants with tomatoes that I put on the focaccia were very tasty. These are the flavors that you have to take to the wider world. It can be a very simple combination; it’s about emotion. Vladimir Mukhin is chef de cuisine at White Rabbit, ranked No. 18 in The World's 50 Best Restaurants. He is also executive chef of the WRF restaurant holding, one of the leaders of the "new wave" of Russian chefs, and on the list of the world's best chefs. When I'm touring or attending a gastronomic conference somewhere, I always bring our produce: Yalta onions, rye bread, Antonovka apples and Black Sea whelks. The things we have been used to since childhood arouses enormous interest abroad. Foreign chefs are willing to come here and get to know our local produce. I have apprentices from the most diverse corners of the world working for me in White Rabbit - from Australia to Southeast Asia. We have much to tell them and to show them. Restaurants serving Russian dishes such as Olivier salad, blinis and borsch are very popular abroad today. Our favorite foods have successfully established themselves in the European context. Nevertheless, some items are a real eye-opener. In London, Stockholm and New York you can try sea delicacies at the Burger & Lobster chain, at very reasonable prices. You'll find it hard to find a free table there, and the menu, as the name suggests, features two main dishes. At the Dellos patisseries in Paris, it's worth ordering the brilliant pastries made using buckwheat flour with kvas, the caramel tart with rye liqueur, and cheesecake with Russian white cheese. Discerning French customers have really taken to these unusual flavors. The Pasternak, where blinis, sweet stuffed dumplings and traditional Russian zakuski are on the menu, has opened in the very center of Berlin. The owners said they were inspired by the Dr. Zhivago restaurant in Moscow that serves dishes made according to old recipes. We’ve managed to preserve the ancient traditions of Russian cuisine. Most are from old texts, starting with the Domostroi, the mid-16th century manual of household management, and ending with the vast body of culinary works dating to the turn of the 18th/19th centuries. Some have no counterparts in the traditions of other countries. For instance, slow cooking at low temperatures, which has become fashionable recently, is none other than our traditional lengthy, steady cooking in a Russian stove. If you want people to travel to Russia for gastronomy you shouldn’t adapt your cuisine. It’s very important to know who you are and where you come from. When you travel you develop new techniques that can then be applied to the flavors from where you were born. That’s genuine gastronomic tourism. Don’t lose those incredible things that you have. You have amazing ingredients. Raise a toast to vodka's birthday!